Kilmarnock have signed Celtic's Norwegian teenager Kristoffer Ajer on loan until the end of the season. The 18-year-old midfielder was captain of IK Start in his homeland and signed for Ronny Deila's Celtic almost a year ago before arriving in the summer. However, he has struggled to gain a place in new boss Brendan Rodgers' side and has made only one top-team outing, against Lincoln Red Imps in July. 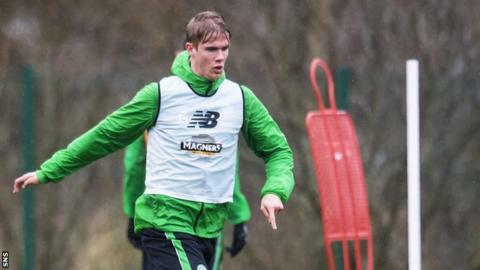 Ajer will join the Rugby Park side for his first training session on Friday. He made his debut for IK Start aged 16 and made more than 50 appearances for the Tippeligaen side. He has three-and-a-half years remaining on his Celtic contract.